If there’s one thing I know for sure, it’s that I love a good, wholesome snack! 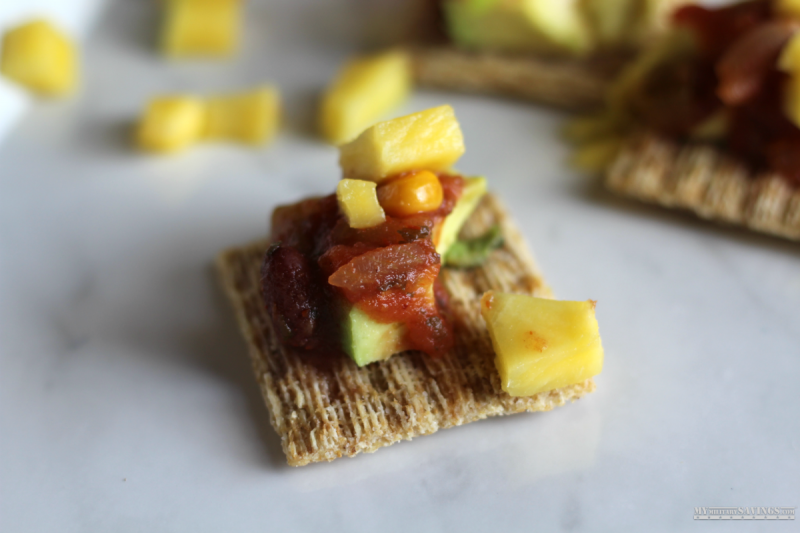 In my quest to keep my new year’s resolution, I have completely revamped my snacking habits, trading chocolate for fruits and veggies, and chips for crackers. In fact, one of my favorite snacks lately has been TRISCUIT® Crackers. 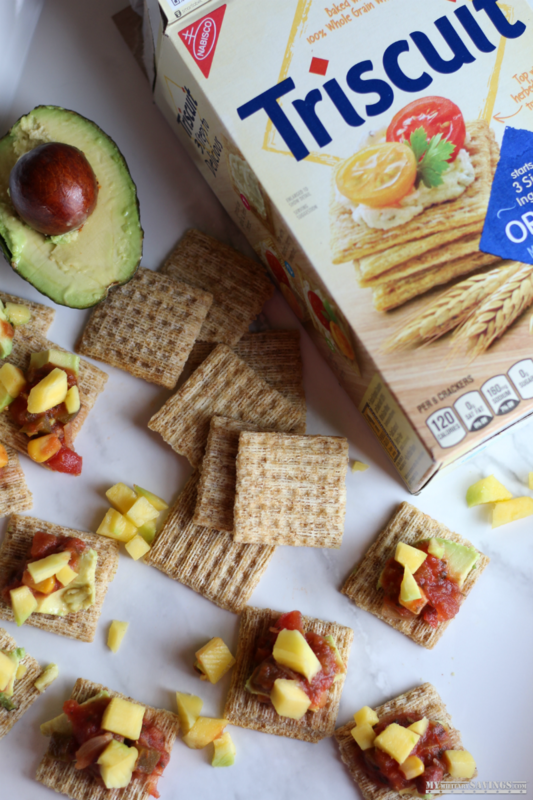 Did you know, all TRISCUIT® Crackers are now Non-GMO Project Verified, and they still taste every bit as yummy! Grab a box next time you’re at the Commissary, and eat them plain, or topped with some deliciousness, like with this recipe for “AvoMangSalScuit” that screams “Cinco de Mayo!” It is sure to be a huge hit if you serve it as an appetizer, so be sure to make a lot (I couldn’t stop eating them as I was making them)!